Is the available evidence enough to conclude that Bigfoot is real? Does the best evidence Sasquatch researchers have uncovered to date give us proof that Bigfoot is real? Can there be any true facts when it comes to a cryptid? When we get down to it, is Bigfoot more about myth and legend than tangible evidence? These are tough questions for Sasquatch researchers, and even after decades of dedicated study there is no definitive proof to show Bigfoot is real. Sasquatch, and creatures like him, are consider cryptids. A cryptid, by definition, is an animal whose existence can’t be supported by scientific proof. Not yet, anyway. While it’s true that there are can be no facts surrounding Bigfoot regarding his numbers, behavior, distribution or evolution, there are certainly facts related to individual experiences which suggest the beast is more than a figment of our collective imagination. It’s a fact that dozens if not hundreds of Bigfoot sightings occur every year in North America. It’s a fact that certain pieces of video and photographic evidence exist to suggest the creature is real. It’s a fact that, in some places, strange sounds are heard in the night not identifiable as any known, local animal. It’s a fact that huge footprints have been discovered in very remote areas, and it’s a fact that DNA research has been conducted that has led at least some experts to believe that Sasquatch is definitely out there. 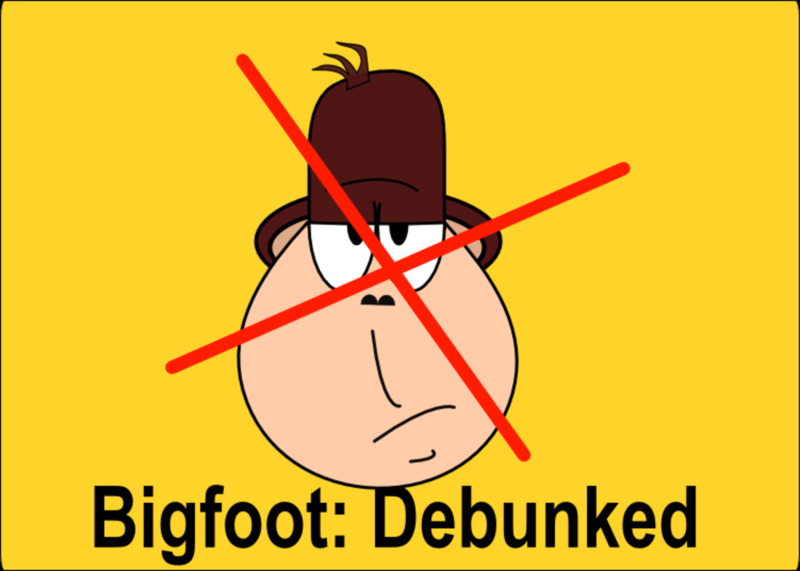 While skeptics can point out numerous logical reasons Bigfoot doesn't exist, the above facts can't be ignored. Of course, without a specimen this might all mean nothing. 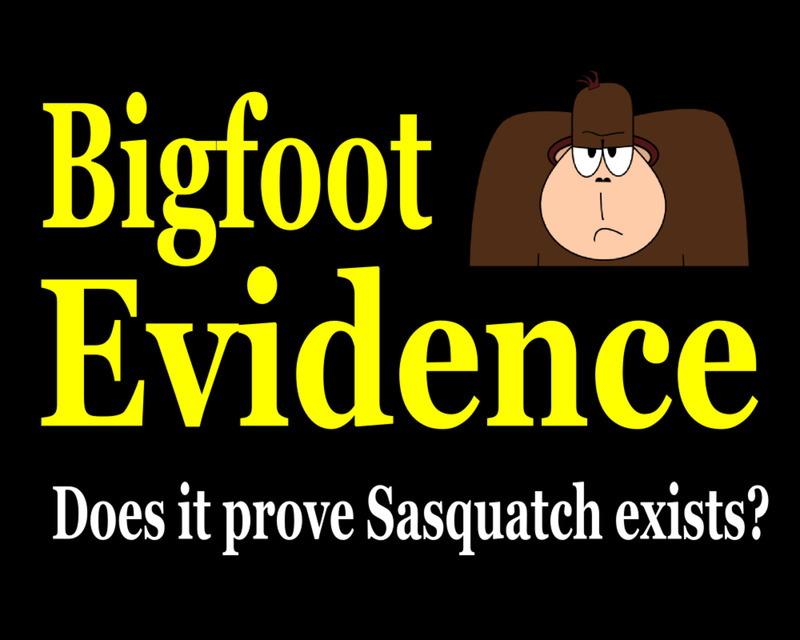 Ultimately it’s up to you to decide what you believe: Does the available evidence add up to the existence of Bigfoot, or not? There have been a few very convincing pieces of video evidence to pop over the years. Unfortunately, some, such as the Snow Walker Video and Marble Ridge Footage, have turned out to be hoaxes. Others, such as the New York Baby Bigfoot Footage, leave us scratching our heads. The most convincing piece of Sasquatch video evidence remains the granddaddy of them all, the Patterson-Gimlin Film. Shot in October of 1967 by Roger Patterson and Robert Gimlin, the film shows several seconds of a Bigfoot in very clear view. There is no mistaking it for any other animal. The creature is either a Sasquatch, or an extremely well-done fraud. Even after 45 years many experts still insist that this video is not hoaxed. One of the problems some skeptics have with the Patterson footage is the alleged association between Patterson and Ray Wallace, a known prankster who may have faked some of the original Bigfoot prints. A costume maker also came forward insisting his company had made the ape suit, as has the man who claims to have worn it. However, details don’t quite add up well enough for proponents of the film, and many still insist on its authenticity. What do you think of the Patterson - Gimlin Film? Looks like Bigfoot to me! Hard to tell, but it's interesting. It's a dude in a gorilla suit! Like video, Bigfoot photography tends to be hard to come by, at least any picture that appears authentic. 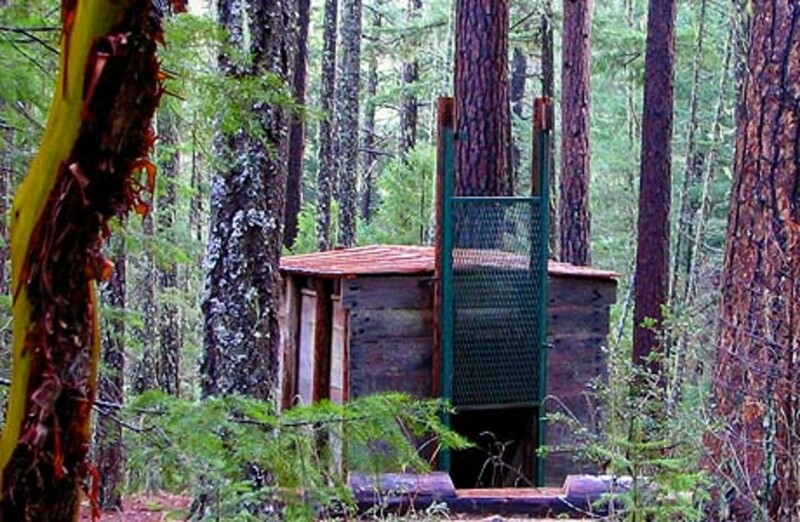 It’s frustrating for researchers and Bigfoot enthusiasts. Ninety percent of the world today has a smart phone in their face the majority of the time, and these phones all have cameras. Whenever something even remotely interesting happens there always seems to be someone with a phone ready to shoot a picture. Except when Bigfoot pops up. If only the general public were as shutter happy when it comes to Sasquatch as they are with other happenings. Even footprints and other pieces of next-day evidence often go undocumented by people who seem to take photos of just about everything else in their lives. So, on behalf of Sasquatch enthusiasts everywhere, if you see Bigfoot pretend he’s your friend doing something stupid at a party and snap a darn picture! But there are a few decent shots in recent years, some due to the increased use of wildlife trail cameras. The Jacobs Photos from Pennsylvania are perhaps the most famous, and most compelling.These pictures reveal what appears to be a small primate, perhaps a baby Bigfoot, lingering around a trail camera. A 2012 picture released by blogger Melissa Hovey, shot by an unnamed source, allegedly shows the upper back of a Bigfoot. As of yet there is no way to prove this thing either way, and the pic officially falls into the category of: Interesting. Another trail-cam pic shot in Vermont allegedly shows a Sasquatch with some kind of patchy hair issues holding a baby 'Squatch. 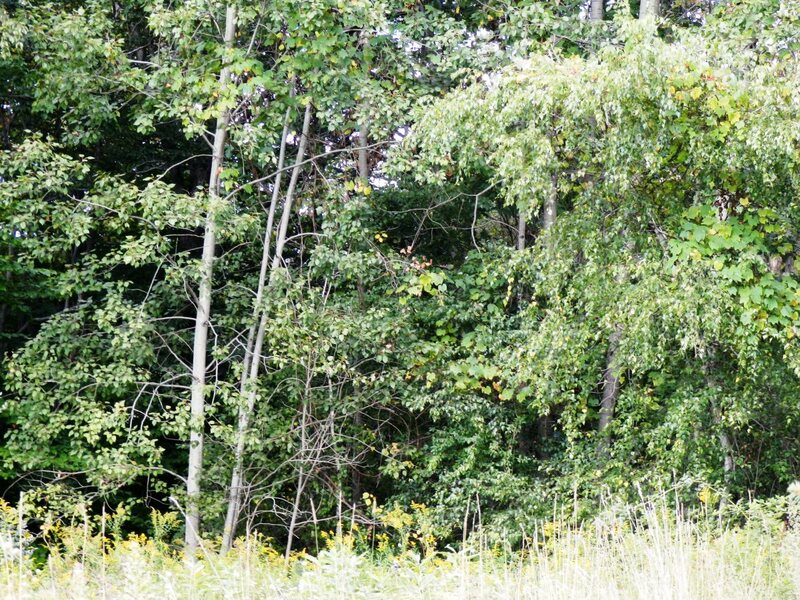 A photo of a Skunk Ape hiding behind a bush is another very compelling piece of evidence. This all adds up to a big question mark. Especially with the technology available to the average computer user today, any picture could be faked or altered. And, unfortunately, none are clear enough to be conclusive. Sounds and howls are tough to put into perspective. Even experienced wildlife researchers can be fooled by odd noises in the night, and under certain conditions sound can carry a very long way. 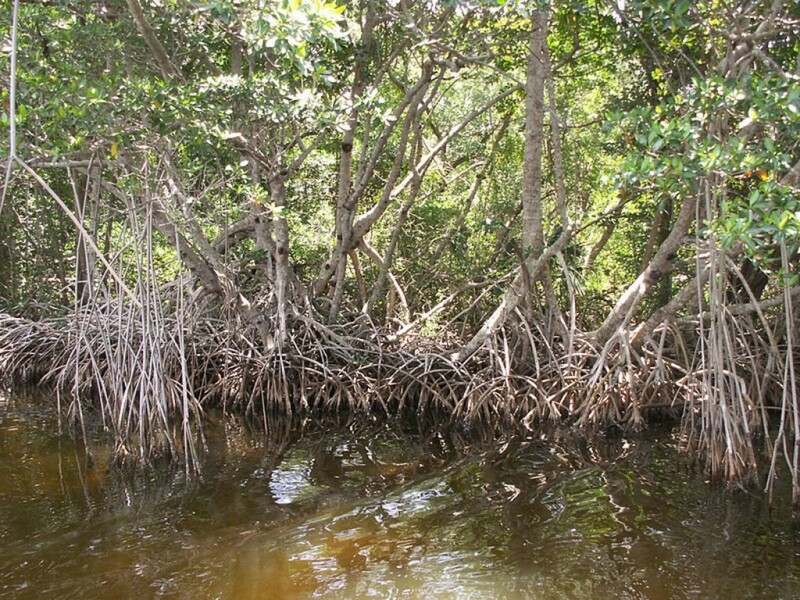 In the most remote areas we assume human intervention can be ruled out, but that is never a certainty. It’s disheartening to think that every team of Bigfoot researchers howling back and forth with what they think is a Sasquatch may actually be communicating with another team of Bigfoot researchers on the other side of the ridge! But when ape-like sounds are heard in places where apes are not supposed to live it does make one think. The Bigfoot craze that has lasted over fifty years all started with a bunch of huge footprints found around a construction site in 1958. No doubt just about everyone has seen plaster casts of footprints, made from an alleged location where a Sasquatch had passed through. Unfortunately, the original prints turned out to be faked, made by a Bigfoot researcher and prankster named Ray Wallace. It turns out Wallace may have been more interested in scaring people away from the construction site rather than perpetuating the Sasquatch legend, but the results ended up about the same. Thanks to the huge prints the name “Bigfoot” became etched in the public vernacular, and a generation of Sasquatch hunters took to the woods. Footprints are probably the easiest pieces of Bigfoot evidence to fake. Like Ray Wallace, all one needs is a big pair of wooden footprints and a sense of humor. For this reason it’s important to consider not only the appearance of a footprint or cast, but the location and circumstances in which it was made. Not all casts are phony. Not by a longshot. Researchers have casted footprints from locations where it is completely inconceivable that a hoaxer would travel to, or anticipate researchers traveling. These are the prints that are truly interesting, and there have been some compelling evaluations done on Sasquatch footprint casts. 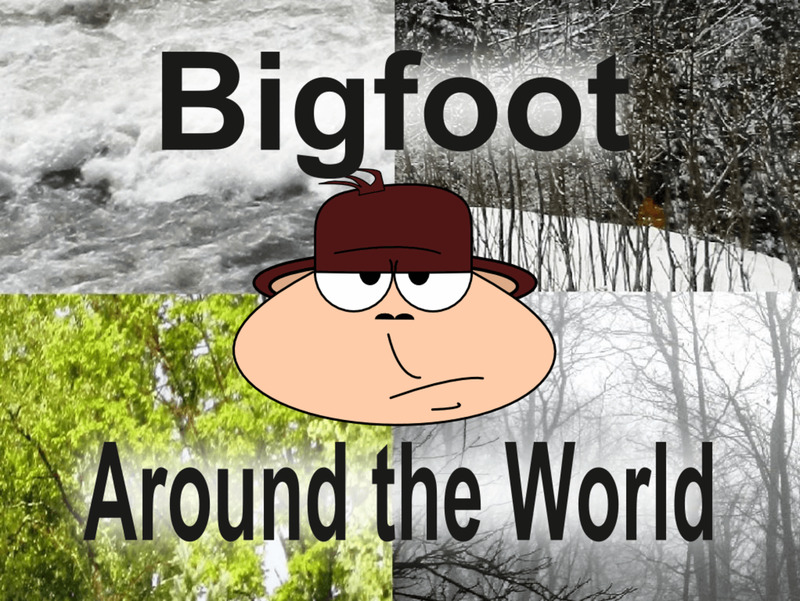 Bigfoot is spotted all over the world. Eyewitness testimony is the hardest evidence to prove, but perhaps the most valid. It is interesting that, in a court of law, if a dozen people say they witnessed something it is considered strong testimony, yet hundreds of people have reported Bigfoot sightings and the creature is still treated by many skeptics as a fairy tale. 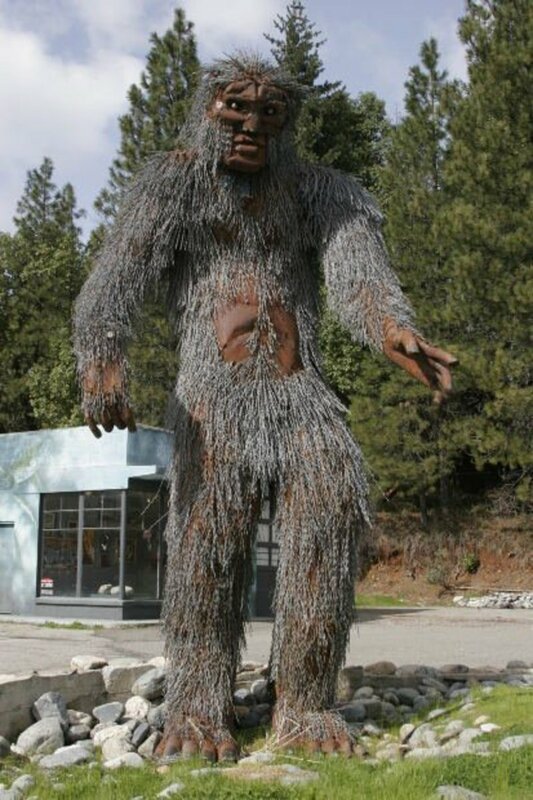 Accounts of Sasquatch even go back to Native American times, where indigenous people lived alongside the creature and were well aware of its existence. Like any other animal of the forest, they knew Bigfoot was out there. Are these tales reliable? As humans, do we always see what we think we see? Certainly not, and certainly there are cases where mistaken identity or pure fright has made people err. But, given the large number of reported sightings, is it really likely that so many people are either lying or flat out mistaken? From a skeptic’s perspective, it’s possible. People may not intentionally deceive us, but in certain circumstances it is very plausible that we may see something that isn’t there. Or, wishfully mistake something ordinary for something extraordinary. Whichever you believe is up to you. Like UFOs and ghostly apparitions, countless Bigfoot sightings occur every year all across the country, some reported but most not. Are these all mistakes, or is there something to them? There is certainly plenty of evidence to convince some that there is a rare species of hominid living in the woods of North America. On the other hand, none of that evidence is conclusive enough to convince mainstream science that the creature exists. So where does that leave us? Unfortunately, the Bigfoot needle hasn’t moved much in the past fifty years. Some find the available evidence to be enough to convince them, while others remain skeptical. And skeptics make some excellent points. For example, if this creature is real, why have no Bigfoot bones been recovered in North America? Both sides have valid arguments and, like any good controversy, neither can understand why the other doesn’t see the truth of the matter. But most of us are somewhere in the middle. We like to believe Sasquatch is out there, and that there really are mysteries left in this world to discover. But we don’t want to be duped either, so we weigh everything with a cautious eye, wary of hoaxers and frauds. More than anything else, we want to see evidence that proves, once and for all, that Bigfoot is real. Is Bigfoot Real? What say you? The available evidence points to yes! The evidence is interesting but not conclusive. The evidence is a bunch of baloney! Bigfoot is not real! There no such thing like Bigfoot.It's only an imagination over mind,sometimes which comes due to depression,frustration,etc.Actually it's a mindset of some people after listening about it.There was a person who was caught in scaring people in the name of bigfoot for fun. But why would a person will do such things only to scare others???????? Doing it,is just like a burden. The Patterson film was never proven to be hoax, is has been studied and proven that the proportions we wrong for a man in a suit. 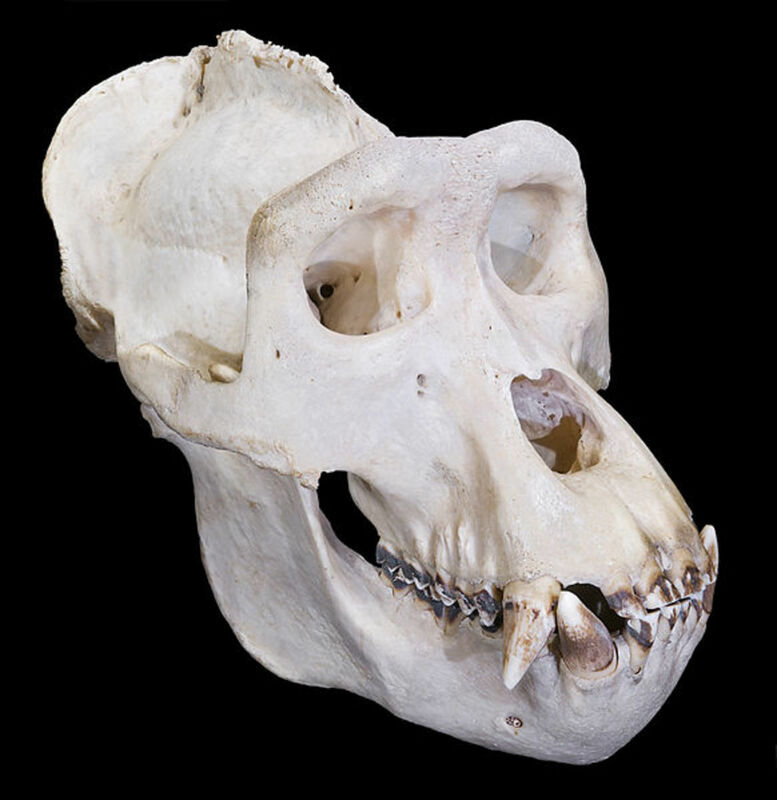 This is one of those mysteries that will remain in dispute unless some indisputable evidence is found, such as the body of an actual specimen. Even if no proof ever comes forward, I'd like to think to creatures link Big Foot, Megalodon and other marvelous creatures are out there. I know what you mean, rlse8994. Bigfoot only seems to show up in blurry, out-of-focus images. Must be part of his defense mechanism! 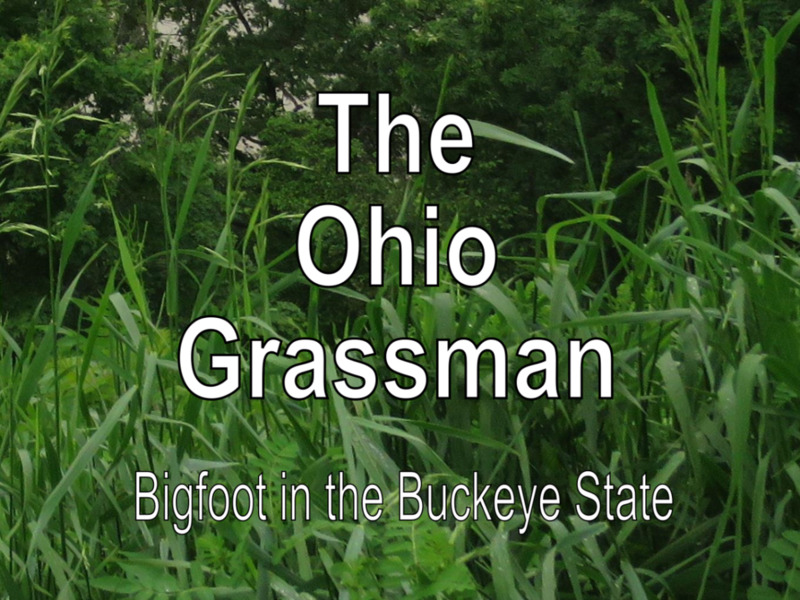 I grew up hearing stories about Bigfoot and although it scared me, it also intrigued and fasinated me. I wish someone would get a decent picture or video when they claim to have seen a Bigfoot lol. Interesting theory, Greg. Thanks for posting! The Patterson-Gimlin film was a hoax - it was later revealed that a man wore a gorilla suit. But that doesn't mean the Bigfoot Mystery is a hoax. I believe Bigfoot and LizardMan are modern-day Nephilim. How this fits in with these Last Days/End Times I don't know but I'm sure Satan is behind it! Thanks SubRon7! I so agree about the mixed feelings over finding such a creature. If I ever saw a Bigfoot I think I'd keep it between me and Nature. On the other hand I have a lot of respect for the cryptozoologists who keep looking even though people tell them they are wasting their time. I hope if (when?) Bigfoot is ever proven to mainstream zoology we as a species have the decency to treat the discovery with the respect it deserves. Very interesting hub, Cryptid. I tend to believe Bigfoot--along with other mythical creatures--is real, but I also tend to believe that I hope it's never proven, because the poor creature would be overwhelmed with sightseers. If I ever saw one, it would be excruciatingly painful and difficult, but I would try my damnedest never to tell anyone. The same is true if I ever saw a mountain lion or wolf in my area. I would never tell, because it would be a certain death sentence for the creature. We expect third world people to live with lions and tigers, etc., but our soccer moms would never permit a dangerous creature to live around here! But, again, good hub--thank you! Thanks prekjr.dc! The shows are definitely interesting. Glad you liked the hub too. I too find it very compelling....I live not far from an area where they have been spotted. 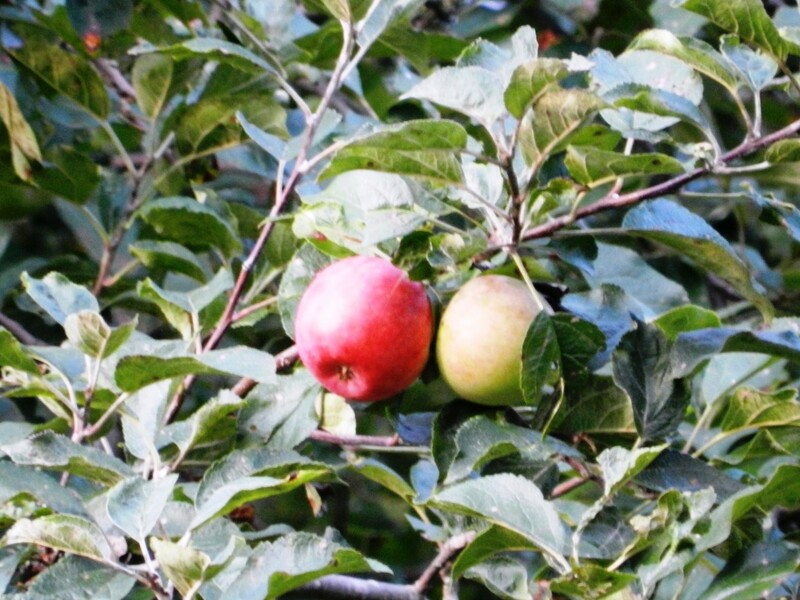 One report was found to be a hoax, but another was unexplainable. There is definitely possibility! Great article with LOTS of information! We find the reality shows with BFRO very interesting! Well, I admit that it's a nice & interesting topic to discuss and read. But, the character shown in the video is totally fake. Ok, I admit that there might be a bigfoot in the primitive times, but in modern days there is no such thing. In the event I ever forget to say it about your future hubs, I'm sure they'll all fall under the category as this one --- AWESOME! You covered all of the various types of evidence in an entertaining and informative manner. I like how you also mention the ways things can be hoaxed. Hopefully, that will help people be able to distinguish fact from fake if they ever come across something. A lot of people won't except eyewitness accounts as proof because, frankly, there are some really good liars out there. So they lump everyone together and say it's either a lie or mistaken identity. But you know which accounts I believe the most? Those from children. A lot of them have never heard the stories and descriptions, yet when they report (in simple kid language) seeing something, the physical descriptions and actions reflect everything we know about these creatures. I find that interesting and very compelling. Thank you My Cook Book. Mysteries are indeed everywhere! Interesting, i am always interested to know the mysteries that are around us. Good hub, thank you for sharing.